Purcell insisted that his house have an open plan because he wanted his family to experience a progressive, modern American way of life. This approach was radically less formal than the way his parents' generation lived, with spaces dictating the types of activities that occurred within them. 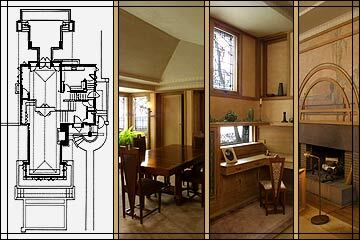 Frank Lloyd Wright called the open plan "breaking out of the box," and it applied as much to the resulting psychological freedom as to the actual physical space. Here's how Purcell summed up this change in attitude: "What we needed to do was to lose not so much the parlor as the parlor idea of life."